Tips for Planning out Your Chapter 11 Reorganization - Hames Anderson Whitlow & O'Leary, Attorneys at Law, P.S. Chapter 11 bankruptcy is the ideal solution if you want to keep your assets but get relief from creditors. The most important aspect of filing for Chapter 11 is your reorganization plan. The court requires your reorganization plan and must approve it before you proceed with Chapter 11. In its basic form, the reorganization plan tells the court how you plan to pay creditors over the duration of your repayment plan. Once you present it, the court and the creditors must agree. It is vital you work with an attorney during this process. A reorganization plan becomes part of your Chapter 11 bankruptcy. Therefore, it must be something you can reasonably do to satisfy the terms of your Chapter 11 case. Chapter 11 bankruptcy is reserved for businesses or consumers with a high net worth that wishes to keep their assets and avoid liquidation. The goal with this plan is not only preservation, but also restoration of your financial stability. After you file for Chapter 11, you receive your automatic stay. That means any creditors attempting to collect must cease. This allows you to run your business without collection efforts being taken against you. Throughout the reorganization plan and repayments, the court requires that you submit fees, reports, and documents so that they may monitor your progress. Your reorganization plan is critical. It is by far the most important document you submit in a Chapter 11 bankruptcy. Once the creditors accept and the court confirms the plan, your debts are discharged. The plan, however, will outline terms that you must follow. For individuals using Chapter 11, you do not receive an automatic discharge. Instead, you must first make all payments under the plan – then you will receive your discharge. Once you file your Chapter 11 bankruptcy petition, you are given 120 days to submit the reorganization plan. Under special circumstances, the court might approve an extension for up to 18 months. If you do not file your plan within the period, the court-appointed trustee or even your creditors may submit their proposed reorganization plan. It is better, if you want favorable terms in your bankruptcy, to submit your plan before your creditors or your trustee. Otherwise, you will be stuck with the conditions set by the third party and they may not work for you or your business. Your plan must address the critical issues such as identifying every debt you have and the owner of that debt. This may require research if the debts are passed to third-party collection agencies. Debts to be paid in full – You must list all debts that you plan to pay in full, then list any remaining debts that will be repaid by a percentage – such as 50 percent paid for satisfaction. How you will pay – Your plan must also outline how you intend to satisfy the repayments. Will you sell assets? Will you use future business profits to pay these creditors? How long will each creditor wait for compensation, and how much do you intend to pay them monthly, quarterly, or annually to satisfy the plan? Business operations – During your repayment plan, how do you plan to operate? You must outline a strict operation plan that includes how finances are handled and how your business will continue to operate in the interim. Appointed individuals – Will your business have a committee that oversees your operations during Chapter 11? Most large companies have a committee assigned to the task, and courts prefer to see someone in charge of operations and repaying creditors. You might want to keep your business or business assets, but how realistic is that? You must identify what assets you could sell to repay creditors, especially those not pertinent to allowing your business to remain open. Also, you will need to hire an accountant to review your business and help create a solid repayment plan. If you do not do research or have a professional review your finances, the plan you draw up might be unrealistic. If you were to violate the terms of your plan, the creditor would be permitted to place a lien on your personal or business assets. Therefore, creating a plan that you can execute is critical. A trustee, even if you submit a plan, can create a competing plan. Typically, in a Chapter 11 situation, the courts transfer control of a company over to the trustee during the bankruptcy’s duration. Consulting with the trustee while you create your plan is best. Because if the trustee feels you are grossly mismanaging your company or acting fraudulently, the courts might dismiss your plan. Never fake documentation, lie about assets, or hide anything from the court or the court-appointed trustee while making your reorganization plan. Doing so could result in the court dismissing your case. 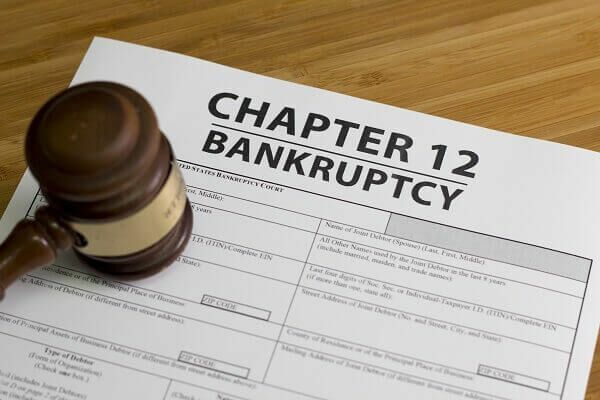 If you need to file for Chapter 11 bankruptcy, it is in your best interest to consult with an attorney who has experience handling that very type of case. Chapter 11 is not for everyone. Therefore, you need someone experienced in the field of business or personal bankruptcy law to review your financial situation and help identify which option is best. To explore your options, speak with an attorney from Hames, Anderson, Whitlow & O’Leary today by calling 509-586-7797 or request more information online.